A lot has happened since my last blog post! 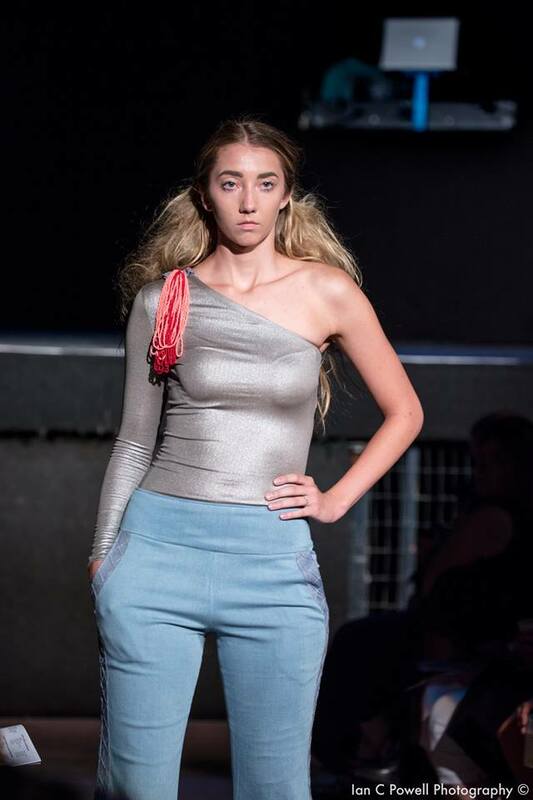 One of the most notable events was showing a collection for my little fashion line that could, HOWL Brand, at Columbus' Alternative Fashion Week. I've struggled to get this recap post out because, on the one hand, I want to be an outlet for positivity, especially when it comes to my work and my brand. So much so that as I'm typing, my insides are screaming, "Don't point out flaws!" But on the other hand, I try to be very honest with myself and I am a brutal perfectionist when it comes to my own work. So I'm just going to be straightforward here, this was not my favorite showing of my work. I had A+ plans and could only manage to deliver what I felt was, at best, a C-. And that might even be cutting myself some slack. There were a few too many Tim Gunn "Make it Work" moments, a few too many corners that had to be cut, and, overall, my vision just wasn't fully realized. I've since had some major realizations and hope to look back on this event as a turning point, the time when I realized my current methods were no longer working for me, and when I made some important changes in order to grow. More about that later, but for now, let's talk about some things that were pretty wonderful just as they were. 1. The event and the PEOPLE! This annual show is put on by the Alternative Fashion Mob and they are truly the most wonderfully strange, encouraging, and inspiring group of people. I remember feeling a few years back that maybe I was a little too "basic" to be a part of the Mob, but they have been so welcoming to me and I have really loved being part of this group. They do a lot to help grow the fashion community in Columbus and Ohio and they are currently accepting "name-your-own membership dues" to help support their efforts. If this is something you're into, you can make an impact here. 2. The venue! I was really stoked that it took place at the historic (and really cool) Newport Music Hall (pictured above). I've been to a lot of concerts here and it was pretty awesome to see it in a different light. 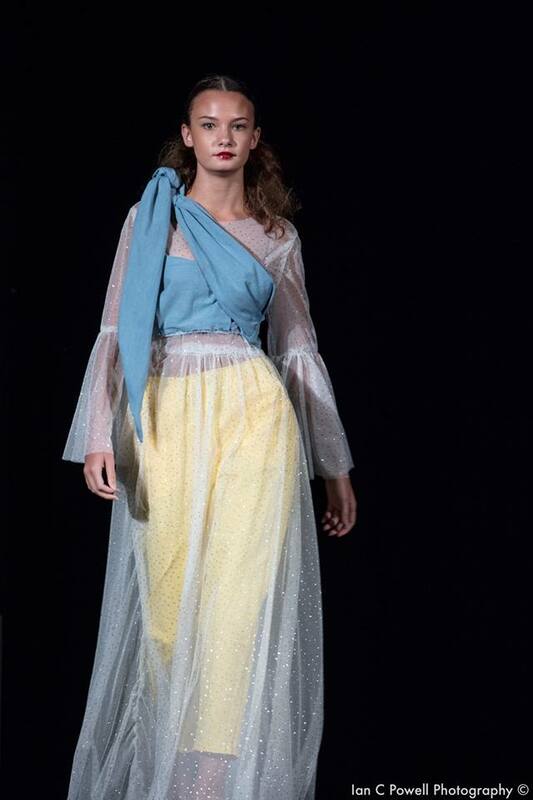 Runway images from Ian C. Powell Photography. 3. The team! Every moment leading up to show was stressful for me, so I felt like the models and the hair and makeup team didn't really get to see me in my best light. But I definitely felt like I saw them in theirs! Everyone was optimistic, friendly, and just overall lovely. I mean look at how great these models are! I especially love the picture above of when we were all waiting backstage, getting ready to go on. The hair and makeup team was led by Dominique Ramsey (follow her at @dominiquedoeshair to see her crazy cool hair color wizardry) with assistance from Caroline Kirk (@carolinescoloringbook). My sister, Brooke, also helped me out immensely. I disrupted her life that whole week and really put her to work! She's basically a saint. 4. The lobsters! I special-ordered this graphic lobster print fabric from Spoonflower and I was really happy with the results. It's amazing how continued work helps so much in defining and refining your brand. I've realized through this collection that graphic prints are a major part of my identity as a designer and I'm hoping to continue down this road by getting some fabric made of my own personal illustrations in the next couple of months. I'm also working on taking the pieces and ideas that I thought were successful (and the one's that I've had purchase requests for) and turning them into "perfect products" to be sold in an online boutique. More on that will come out over the next few months, so if you're interested in keeping up with our growth, please make sure to follow @howl_brand for more updates. So some of it really worked, but it wasn't the full vision I had in my head. A lot of special details I had plans for didn't make it to the runway. There were a number of instances where my sewing was done out of rushed necessity, and isn't at all the work I like to present for my brand. Mainly I've realized that I can't continue to do it all by myself without facing major time management issues. I have been juggling multiple hustles for years and, as it all grows, it has gotten to be too much. My career has been picking up in areas, but then I have felt like I'm dropping balls in the other areas that are really important to me. It is simply time to start asking for some help. I have MAJOR goals around the corner and I want to be able to see them through 100%. I need more hands on deck! I'll have more on some upcoming opportunities in a post coming Monday, so please check back in for that!